Terrorism dramas have become the new disaster movies, apparently, and the based-on-a-true-story thriller “Hotel Mumbai” employs the disaster-movie formula to depict the terrifying events that befell Mumbai, India, in late November 2008. The story begins with 10 men landing on the beach at Mumbai in a raft, with backpacks and a mission. They are members of Lashkar-e-Taiba, an Islamic terrorist group from Pakistan, and their goal is to kill people and sow chaos at multiple locations around Mumbai. When the terrorists strike a hospital, a train station, a cafe and other sites, the panicked people of Mumbai rush to the most secure location available: The Taj Mahal Palace Hotel, an opulent destination for elite Indians and foreign high-rollers. The lobby security tries to let in people fleeing from the attacks, but in the process allow in some of the terrorists. Then the shooting starts, and guests and staff are slaughtered in the lobby. By the time the terrorists have attacked, rookie Australian director Anthony Maras (who shares screenwriting credit with John Collee, who co-wrote “Master and Commander”) has already introduced us to the main characters through whose eyes we will be seeing the carnage and heroism to come. Among the locals are Arjun (Dev Patel), a poor Sikh who needs his waitstaff job to feed his wife and young daughter, and Hemant Oberoi (Anupam Kher), the detail-obsessed chef who commands the hotel staff. The foreigners include an American businessman (Armie Hammer) and his Indian wife (played by Iranian-born Nazanin Boniadi), along with their baby son and the boy’s nanny (Tilda Cobham-Hervey). There’s also a shady Russian businessman (Jason Isaacs) whose past life in the military provides useful expertise as the attacks continue. The most disturbing part of the movie is the audio of the terrorists’ mastermind pumping them full of jihadist talking points over the phone. It’s disturbing because it turns out to be the most true-to-life element, as Maras based them on actual intercepted audio uncovered in the investigation after the attacks. Some of the encounters between staff and guests inside the hotel play more closely to the disaster-movie formula — though it’s a sign of the movie’s international origins that the top-billed performers aren’t necessarily the ones who get out alive in the end. Maras captures the panic, frustration and thwarted hopes of those inside the hotel, growing more desperate as the hours tick by and the Mumbai cops are ill-equipped to handle a terror attack. 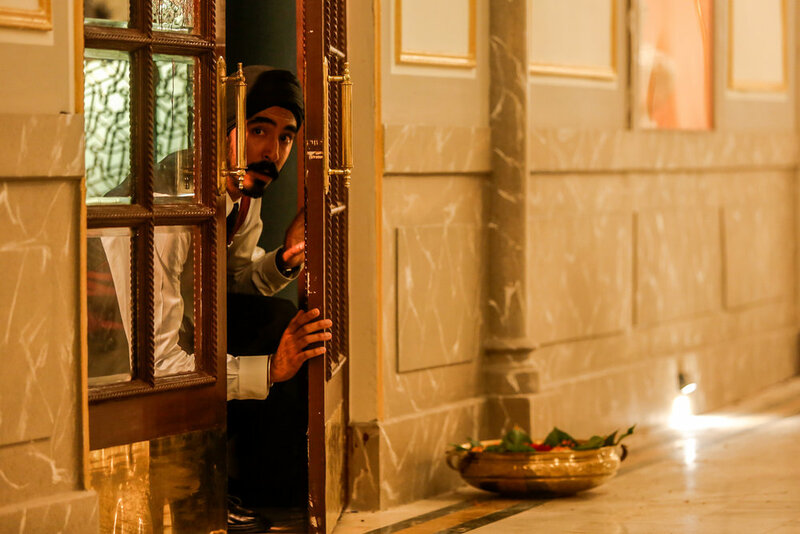 There are enough thrills, and moments of human kindness, throughout “Hotel Mumbai” to make the trip worth it. Opened March 22 in select cities; opens Friday, March 29, in theaters everywhere. Rated R for disturbing violence throughout, bloody images, and language. Running time: 123 minutes.